The Stirling Hamper is one of our most popular family hampers and is overflowing with the finest Scottish Christmas food and drink. Beautifully presented in an extra-large wicker hamper, you’ll find award-winning smoked meats, cheeses and salmon partnered with a light, spicy Chateaneuf-du-Pape and an un-oaked white Burgundy with citrus notes. Taylors Late Bottled Vintage Port and Glenmorangie 10-year-old single malt are nestled amongst Tillyfeugh Clootie Dumpling, Walkers Shortbread, Mincemeat Tarts, classic Dundee Cake and Rich Fruit Cake, a selection of handmade milk and dark chocolates from around Scotland, Baxters hearty soups, cheese from the Arran Cheese Shop, biscuits from the Borders, festive nibbles and much more. 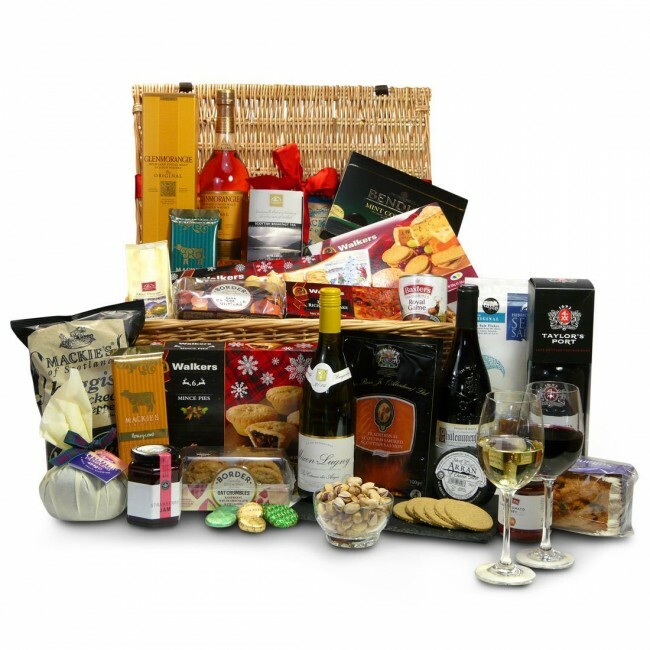 This luxury Christmas family hamper is ideal for large groups and extended family gatherings. You will find a complete list of contents below. 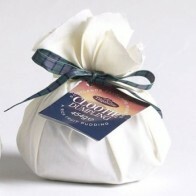 The Stirling Hamper is carefully packed by hand in an elegant wicker hamper with a hand-tied ribbon. 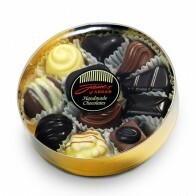 Remember to tell us what you'd like written on the personalised gift card included inside.